What Are the Upanishads to Indian Philosophy? Subhamoy Das is the co-author of "Applied Hinduism: Ancient Wisdom for Today's World." He has also written several children and young adult books about Hinduism. The Upanishads form the core of Indian philosophy. They are an amazing collection of writings from original oral transmissions, which have been aptly described by Shri Aurobindo as "the supreme work of the Indian mind". It is here that we find all the fundamental teachings that are central to Hinduism — the concepts of 'karma' (action), 'samsara' (reincarnation), 'moksha' (nirvana), the 'atman' (soul), and the 'Brahman' (Absolute Almighty). They also set forth the prime Vedic doctrines of self-realization, yoga, and meditation. The Upanishads are summits of thought on mankind and the universe, designed to push human ideas to their very limit and beyond. They give us both spiritual vision and philosophical argument, and it is a strictly personal effort that one can reach the truth. The term 'Upanishad' literally means, "sitting down near" or "sitting close to", and implies listening closely to the mystic doctrines of a guru or a spiritual teacher, who has cognized the fundamental truths of the universe. It points to a period in time when groups of pupils sat near the teacher and learned from him the secret teachings in the quietude of forest 'ashrams' or hermitages. In another sense of the term, 'Upanishad' means 'Brahma-knowledge' by which ignorance is annihilated. Some other possible meanings of the compound word 'Upanishad' are "placing side by side" (equivalence or correlation), a "near approach" (to the Absolute Being), "secret wisdom" or even "sitting near the enlightened". Historians and Indologists have put the date of composition of the Upanishads from around 800 - 400 B.C., though many of the verse versions may have been written much later. In fact, they were written over a very long period of time and do not represent a coherent body of information or one particular system of belief. However, there is a commonality of thought and approach. "From the unreal lead me to the real! From darkness lead me to light! From death lead me to immortality!" The crux of the Upanishads is that this can be achieved by meditating with the awareness that one's soul ('atman') is one with all things, and that 'one' is 'Brahman', which becomes the 'all'. The authors of the Upanishads were many, but they were not solely from the priestly caste. They were poets prone to flashes of spiritual wisdom, and their aim was to guide a few chosen pupils to the point of liberation, which they themselves had attained. According to some scholars, the main figure in the Upanishads is Yajnavalkya, the great sage who propounded the doctrine of 'neti-neti', the view that "truth can be found only through the negation of all thoughts about it". Other important Upanishadic sages are Uddalaka Aruni, Shwetaketu, Shandilya, Aitareya, Pippalada, Sanat Kumara. Many earlier Vedic teachers like Manu, Brihaspati, Ayasya, and Narada are also found in the Upanishads. The human being is the central mystery of the universe holding the key to all other mysteries. Indeed, human beings are our own greatest enigma. As the famous physicist, Niels Bohr once said, "We are both spectators and actors in the great drama of existence." Hence the importance of developing of what is known as the "science of human possibilities." It was such a science that India sought and found in the Upanishads in an attempt to unravel the mystery of human beings. Today, we see a growing urge in everyone to realize the 'true self'. We are keenly feeling the need to make our knowledge flower into wisdom. A strange yearning to know about the infinite and the eternal disturbs us. It is against this background of modern thought and aspirations that the contributions of the Upanishads to the human cultural legacy become significant. The purpose of the Vedas was to ensure the true welfare of all beings, worldly as well as spiritually. Before such a synthesis could be achieved, there was a need to penetrate the inner worlds to its depth. This is what the Upanishads did with precision and gave us the science of the self, which helps man leave behind the body, the senses, the ego and all other non-self elements, which are perishable. The Upanishads tell us the great saga of this discovery — of the divine in the heart of man. Very early in the development of the Indian civilization, the man became aware of a strange new field of human experience — the within of nature as revealed in man, and in his consciousness and his ego. It gathered volume and power as years rolled on until in the Upanishads it became a deluge issuing in a systematic, objective and scientific pursuit of truth in the depth of experience. It conveys to us an impression of the tremendous fascination that this new field of inquiry held for the contemporary mind. These Indian thinkers were not satisfied with their intellectual speculations. They discovered that the universe remained a mystery and the mystery only deepened with the advance of such knowledge, and one of the important components of that deepening mystery is the mystery of man himself. The Upanishads became aware of this truth, which modern science now emphasizes. In the Upanishads, we get a glimpse into the workings of the minds of the great Indian thinkers who were unhampered by the tyranny of religious dogma, political authority, the pressure of public opinion, seeking truth with single-minded devotion, rare in the history of thought. As Max Muller has pointed out, "None of our philosophers, not accepting Heraclitus, Plato, Kant, or Hegel has ventured to erect such a spire, never frightened by storm or lightning." Bertrand Russell rightly said: "Unless men increase in wisdom as much as in knowledge, an increase in knowledge will be an increase in sorrow." While the Greeks and the others specialized in the subject of man in society, India specialized in man in depth, man as the individual, as Swami Ranganathananda puts it. This was one ruling passion of the Indo-Aryans in the Upanishads. The great sages of the Upanishads were concerned with the man above and beyond his political or social dimensions. It was an inquiry, which challenged not only life but also death and resulted in the discovery of the immortal and the divine self of man. The Upanishads gave a permanent orientation to Indian culture by their emphasis on inner penetration and their wholehearted advocacy of what the Greeks later formulated in the dictum "man, know thyself." All subsequent developments of Indian culture were powerfully conditioned by this Upanishadic legacy. The Upanishads reveal an age characterized by a remarkable fervent of thought and inspiration. The physical and mental climate that made it possible is the land of plenty that was India. The entire social milieu of the Indo-Aryans was ripe with great potentialities. They had found leisure to think and ask questions. They had the choice to utilize the leisure either to conquer the outer world or the inner. With their mental gifts, they had turned their mental energies to the conquest of the inner world rather than of the world of matter and life at the sensate level. The Upanishads have given us a body of insights that have a universal quality about them and this universality derives from their impersonality. The sages who discovered them had depersonalized themselves in the search for truth. They wanted to go beyond nature and realize the transcendental nature of man. They dared to take up this challenge and the Upanishads are the unique record of the methods they adopted, the struggles they undertook and the victory they achieved in this astonishing adventure of the human spirit. And this is conveyed to us in passages of great power and poetic charm. In seeking the immortal, the sages conferred the immortality upon the literature that conveyed it. What Are the Principal Upanishads? 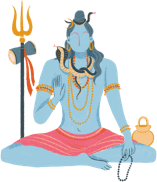 What are the 6 Darshanas of Hindu Philosophy? What Are the Ancient Hindu Laws of Manu? 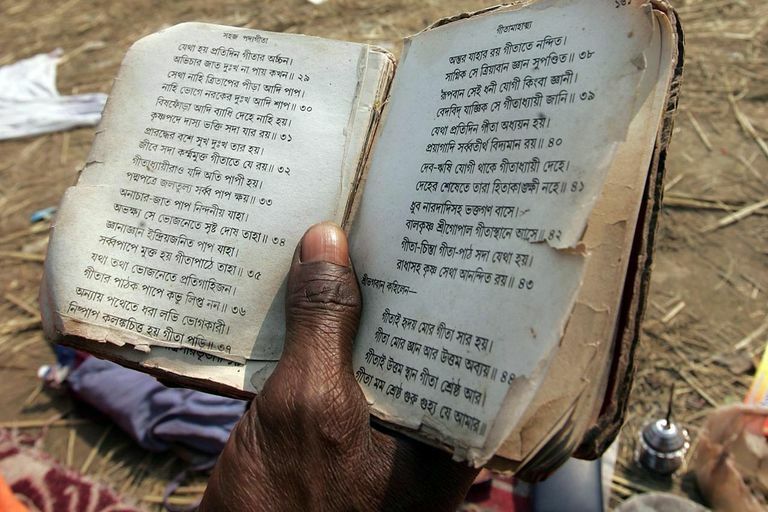 What Are the Sacred Texts of the Hindus? What Are the Friendly Hindu Treatises from Ancient India? What Is the Universal Appeal of the Ramayana? Pillars of a Business from Chanakya's "Arthashastra"